You'll never believe how much you can learn from this class. Make straighter seams and sew perfect blocks every time. No more uneven blocks! Learn the Harriet Hargrave method for everything from choosing and cutting (and tearing) fabric to finishing. 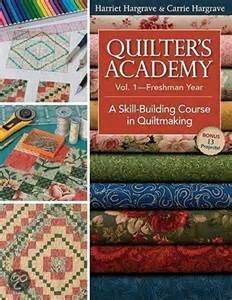 Requirements: Quilter's Academy Freshman Book. Sewing machine and general sewing supplies in good working order.